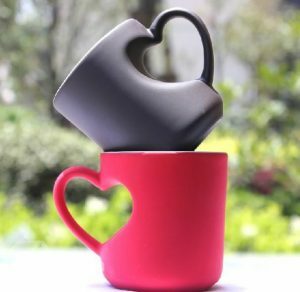 Who wouldn’t want these super cute mugs that cleverly uses the handle to form a makeshift heart? A full hundred on the cuteness scale. Available in black or red color. Durable and useful, and steals the show. Ceramic. 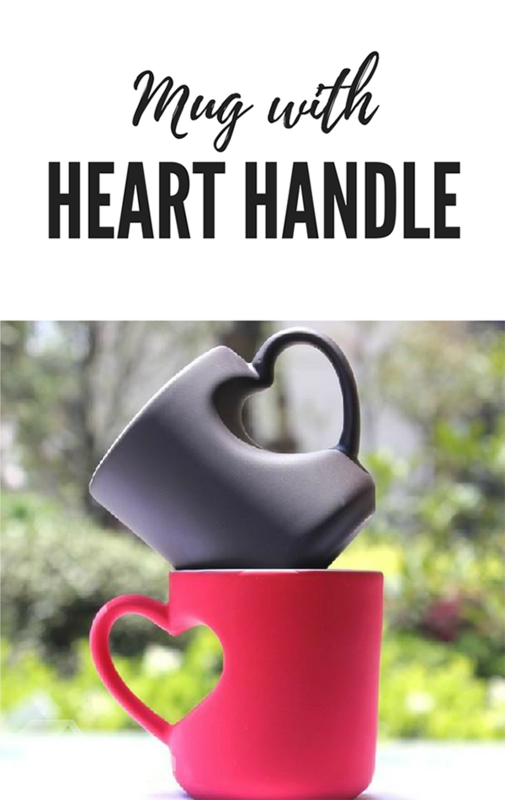 Holds a full cup of coffee (or tea). It seems that the mug being sold on the original website below has somewhat changed shaped. 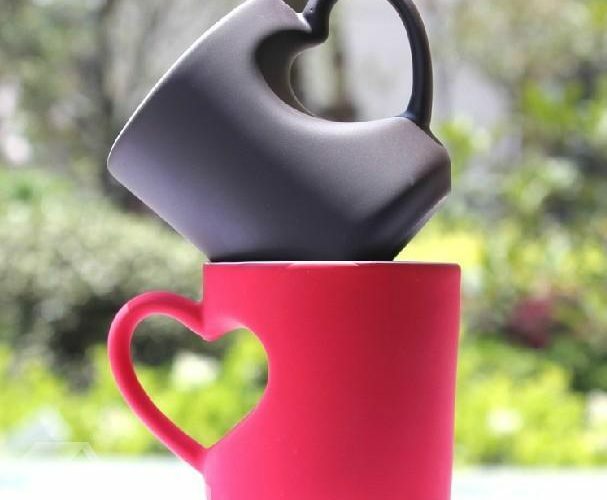 The half-heart indent is no longer there so the body is just like that of a regular mug. Disappointing. Crowdsourcing: If you know anyone making something remotely close to those in the picture, drop a comment bomb below. Thank you!